Living in Florida has been great for my love of everything related to the beach. I decided to have a nautical feel in my family room. To create the background, I combined multiple shades of blue with a foam brush. I was certain to keep all the same direction. Don’t forget to paint the sides too. Next, I added the anchor and rope. I used the same technique I have used multiple times (explained in depth here). I have come to love this technique because it is easy and allows me to paint a variety of things I never would be able to paint otherwise. This canvas worked great above the television, with the extra tall ceilings. 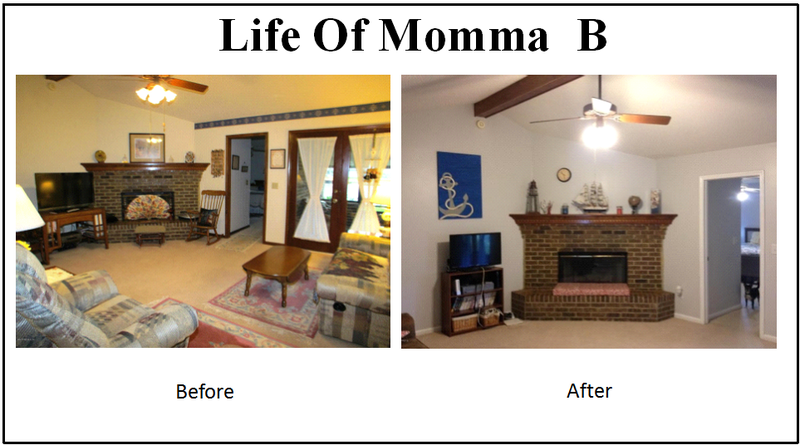 To go to the beginning of the Family Room Makeover click here. To go to the next part of the room makeover, click here. This entry was posted in Crafts, Home Makeover and tagged blue, canvas, DIY, nautical, paint. Bookmark the permalink.